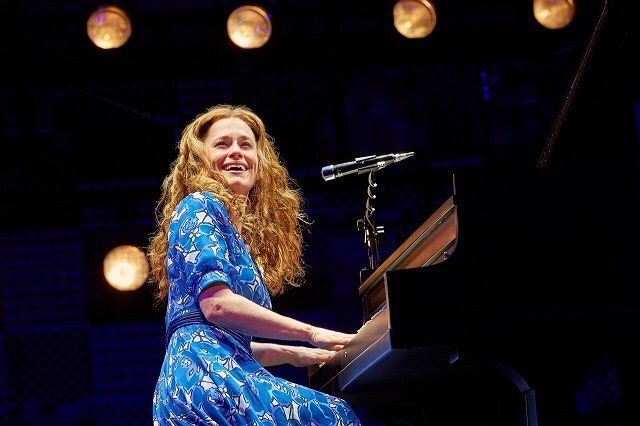 Beautiful is a musical based on the life and work of song writer and musician Carole King who overcomes her own insecurities to find her self-worth. Transferring from Broadway, the show arrives in London an already well-oiled machine. Whilst Beautiful could be considered another in a seemingly endless line of jukebox musicals, the show presents itself in a classy and engaging way. By that I mean that Derek McLane’s design combined with Alejo Vietti’s costume design, Josh Prince’s Choreography and Steve Sidwell’s orchestration, the show sets itself apart from the cheap connotations of the jukebox form. It is very well presented indeed. I saw the show on Broadway in October in anticipation of it’s London revival and I have to say the audience vibe was a little different, but I think that is to be expected considering King was raised in Brooklyn and spent much of her earlier years working in Manhattan. Similarly it would not be fair to compare Tony Award winner Jessie Mueller’s performance to her London counterpart, Katie Brayben who plays King. Brayben plays Carole King fantastically, taking the role from her early insecure years to her empowered later career as a soloist. Her voice was fabulous and her piano playing was empowering! It was Lorna Want who really stood out for me; I found her simply electric as Cynthia Weil, bringing zeal to her role, backed with fabulous vocals (and outfits!). I felt very invested in Weil’s relationship with Barry Mann, played by Ian Mcintosh and very much enjoyed the scenes between the pair and Brayben as they demonstrated the epitome of everlasting friendship and thus bringing the show its only real moments of true tenderness. 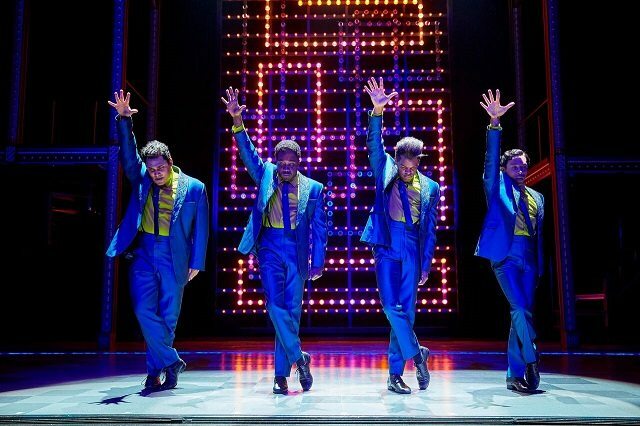 The ensemble must be thrilled with the amount they have to do in this show; many of whom play singers in popular bands such as The Drifters and The Shirelles. It is always pleasing when actors in smaller roles are given their chance to shine and this was certainly the case with the majority of the ensemble cast. The real selling point here is the music. King’s fantastic music as a soloist and in collaboration with husband Gerry Goffin as well as Weil and Mann’s songs makes for a few hours of 60’s and 70’s nostalgia. Tracks such as “Take Good Care of My Baby,” “Will You Love Me Tomorrow,” “The Locomotion,” “On Broadway” and “You Make Me Feel Like a Natural Woman” are timelessly fabulous and a testimony to their writer’s talents. Ultimately Beautiful looks beautiful, sounds beautiful and is filled with beautiful performers. Yeah it is a jukebox, but the music holds cultural significance. I would definitely recommend the show as one of the most inoffensively enjoyable shows on the West End. 23 December 2014 - C'mon baby, do the locomotion!